The Caro-Kann Defence, long renowned for being a solid and reliable defence against 1.e4, is undergoing a renaissance at the moment. The pawn structures in this opening leave considerable room for individual interpretation. 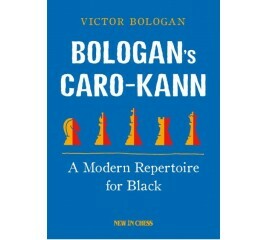 This book is written for the Black side, though new ideas for White are suggested and old ones occasionally improved. 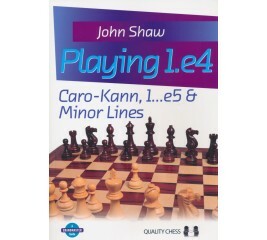 It contains not only the author's personal take on how to deal with all major White tries after 1.e4 c6, but also a range of alternatives for Black- to cater for different types of Caro-Kann player. 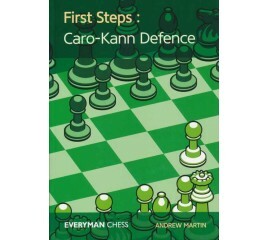 The Caro-Kann Defence arises after the moves 1 e4 c6. With this first move Black (as is also the case with the French Defence – 1 e4 e6) plans 2 ... d5, establishing a well-protected central pawn. 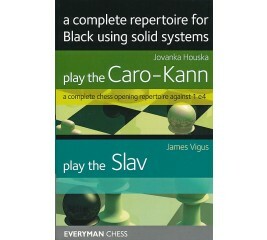 The Caro-Kann has a reputation as a rock solid defence that minimises the risk of Black being subjected to undue early pressure. First Steps books are based around carefully selected instructive games which demonstrate exactly what both sides are trying to achieve. There is enough theory to enable the improving player to get to grips with the opening without feeling overwhelmed. If you want to take up a new opening, First Steps is the ideal place to start. WINNING FAST IS FUN! 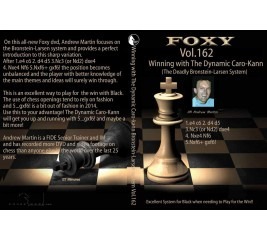 This book is a collection of games played by the best players in the world in which either White or Black wins in 15 moves or less either a result of brilliant chess tactics, an accumulation of mistakes or blunders. 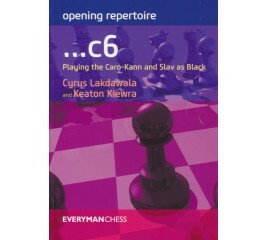 Through the study of the games in this volume, you will improve your opening play, opening repertoire, strategies and tactical ability. 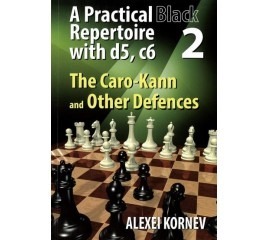 A Practical Black Repertoire with d5, c6 Volume 2 deals in depth with the Caro-Kann Defence 1.e4 c6 2.d4 d5 and various deviations for White as 1.e4 c6 2.d3; 2.Nc3; 2.c4. 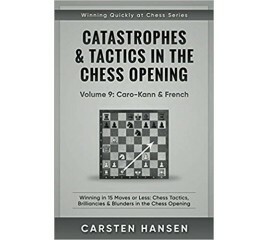 The Caro Kann is a very tricky opening. Black’s play is based on controlling and fighting for key light squares. I have analyzed the new trends carefully and found some new ideas for Black. 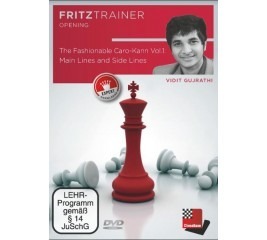 The dynamic play based on a strong strategic foundation has always fascinated me, and in these DVDs I have suggested the lines which I personally prefer and employ in practice. Recently at the World Rapid and Blitz Championships at Qatar I used many of them with great success, managing to score important wins over top GMs Vachier Lagrave, Radjabov, Jobava and drawing against Vishy Anand. The Berlin Defence which arises after 1.e4 e5 2.Nf3 Nc6 3.Bb5 Nf6 4.O-O Nxe4 gives White a hard nut to crack, and the solidity of the line led to its nickname “Berlin Wall”. The mainline 5.d4 in particular leads to positions in which White has had trouble to prove any advantage. 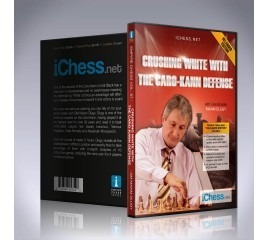 On this DVD Latvian top player Alexei Shirov proposes a different approach. He recommends to play 5.Re1 which leads to a symmetrical position that according to Shirov is not boring at all. With a whole range of grandmaster games Shirov shows that White can indeed develop pressure and seize the initiative and that the position is full of subtleties. The dynamic 4...Nf6 line of the Caro-Kann has been unfashionable in recent years whilst the theory on 4...Bf5 and 4...Nd7 now extends well into the middle game. 4…Nf6 therefore offers a golden opportunity for Caro-Kann players to throw their opponents on their own resources – and here even top Grandmasters can go wrong. On this DVD Nigel Davies examines both the Bronstein-Larsen (5.Nxf6+ gxf6) and the Tartakower (5.Nxf6+ exf6) systems. The Advance Variation of the Caro-Kann Defence (1.e4 c6 2.d4 d5 3.e5) attracted for the first time the attention of the chess theoreticians during the World Championship match between Mikhail Tal and Mikhail Botvinnik back in the year 1961. White seems to lose a tempo for the move 3.e5, but closes the centre in this way, providing himself with a considerable space advantage and impeding the harmonious development of Black's kingside. 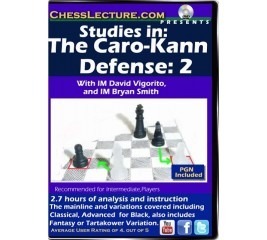 The Caro-Kann Defence remains a very popular option for Black at all levels of chess. 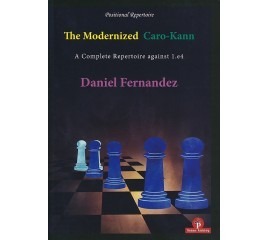 It has always enjoyed a solid reputation, but if anything its popularity has increased in recent years with the realization that the Caro-Kann can also be employed with the intention of reaching sharp dynamic positions, rich in possibilities for both sides and with a guarantee of genuine counterplay for Black. 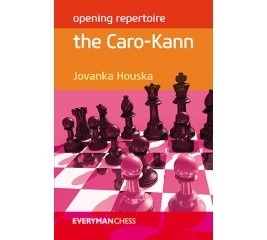 In this book, the author presents the reader with a complete Caro-Kann repertoire, which is based primarily on her own repertoire she has used with success over many years at international level. David covers the main line and variations including Classical, Advanced for Black. Bryan gives us two lectures on the Fantasy or Tartakower variation. 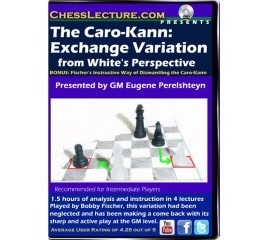 GM Perelshtyen shows how to employ the Exchange Variation as he often has at the GM Level. The Exchange Variation 1.e4 c6 2.d4 d5 3.exd5 cxd5 is a very subtle line for white to fight for a long-term positional advantage based on a rapid development of your two bishops that will make it very difficult in turn for black to develop his bishops to active diagonals. 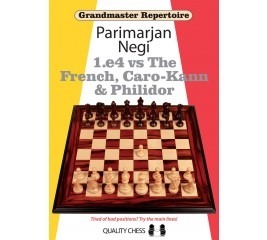 In the Grandmaster Repertoire – 1.e4 series, Indian superstar Parimarjan Negi presents his own world-class repertoire. 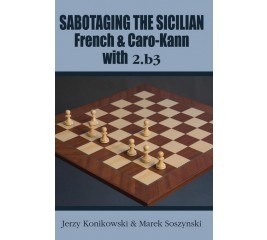 Building on a foundation of tried-and-tested main lines, the author shares a wealth of his innovative analysis to chart a course towards an advantage for White.Volume One covers the French, Caro-Kann and Philidor. 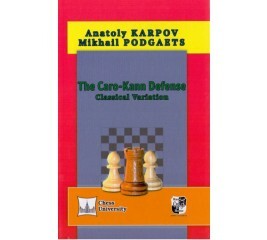 The Caro-Kann is a solid defense against e4. This opening has seen steady growth in popularity in recent years. 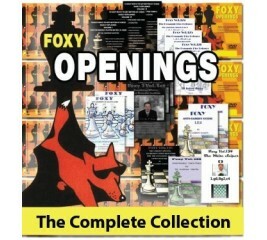 Employed by such greats such as Kasparov and Karpov. 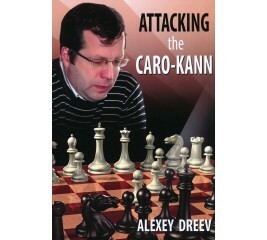 Here David examines some sharp and some simple lines as well as a game where he was beaten in the Caro-Kann. 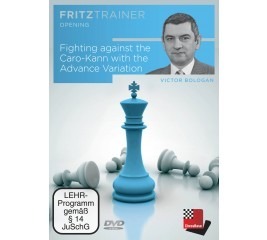 On this DVD Roman will explain the art of playing with an isolated pawn by mastering this art you will learn the science of chess and become a better chess player. 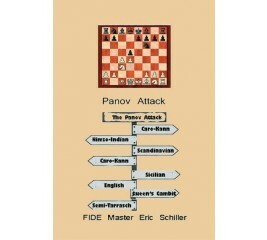 The Panov Attack is one of the most important opening positions in chess to learn. It is rich with positional play, building attacks, maneuvers tactics and much more.. The Panov is a must to master because it can transposes from several different openings including The Caro-, Grunfeld, Tarrasch, Nimzo Indian, Center Counter, and Accelerated Dragon. 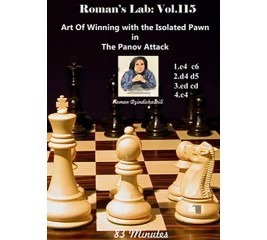 Roman will increase your understanding of playing and winning with the isolated pawn positions that arises in the Panov Attack wins!! This opening is played on both sides by the world's strongest chess grandmasters. 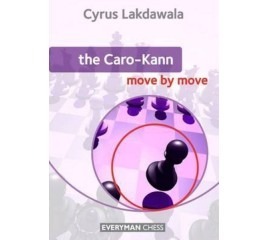 In this book, Cyrus Lakdawala examines the Caro-Kann, which enjoys a richly deserved reputation as one of Black's most reliable defences. It provides an ideal blend of soundness and dynamism, which allows Black to create counterplay from a solid platform.